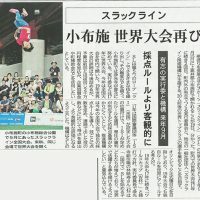 The prize money for world’s best competition “2019 Slackline World Cup Japan FULL COMBO®” was decided. Total Prize Money 2 million Japanese Yen. We uploaded about entry and some rules on official website. We will inform you about the timing of entry start, trick level, detailed rules soon.